We enjoyed working with our Park Ridge client. They needed storage for linens and toiletry items. 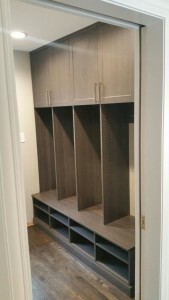 A nook in their hallway was perfect for a custom wall unit which offered them a finished furniture look. 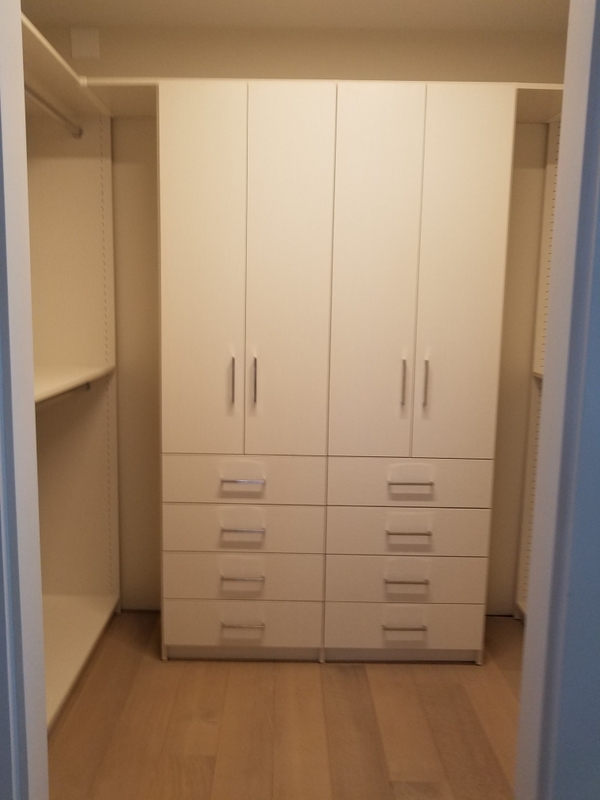 We wrapped-up the project by adding a two-tone locker system by their back door. This was a one day installation. 05 Oct Storage for Fido, too! Nestled in a Streeterville laundry room, this system was designed around doggie gear, leashes, coats, food, towels, booties, etc. Whoof! 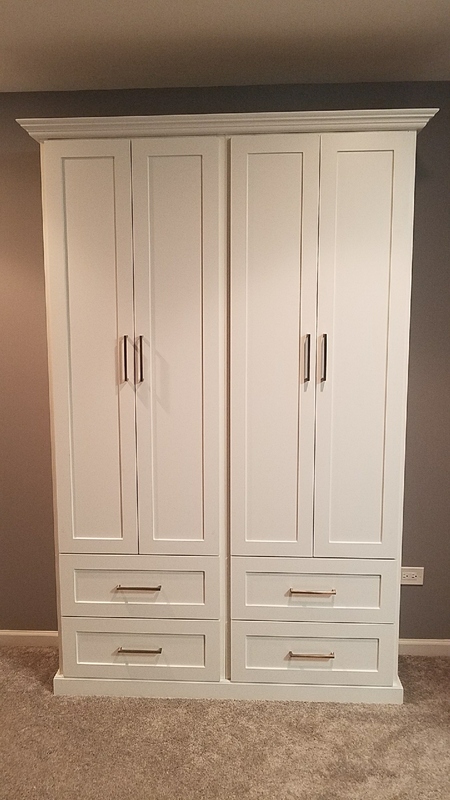 This sharp-looking two-tone locker system was recently completed for our Hinsdale client's mudroom. 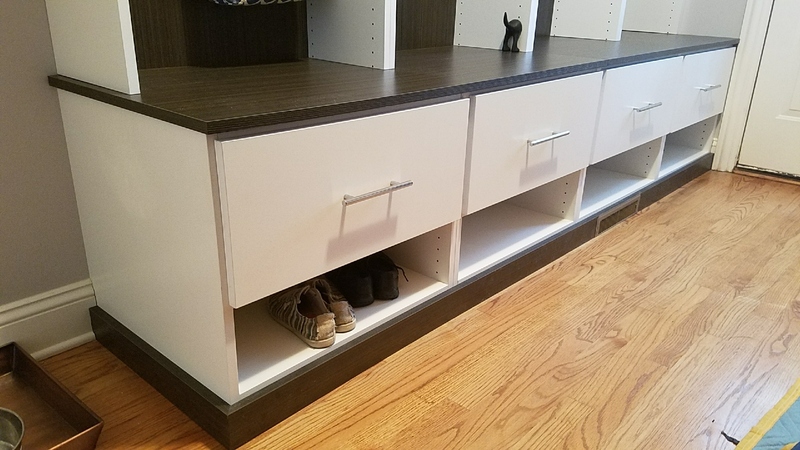 Featured in White with Milk Chocolate accents this system includes drawers for accessories, cubbies, shoe shelves, and lots of hooks! Highly upgraded Lincoln Square gut rehab for under 1M. 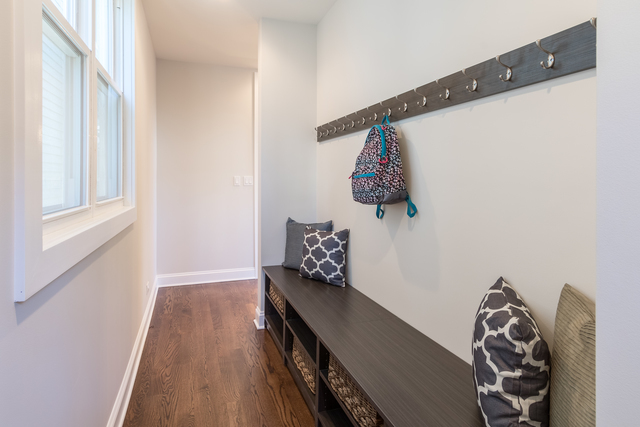 Features our custom closets and this highly functional mudroom, both finished in Spring Blossom. For complete listing see: 2424 W Carmen. 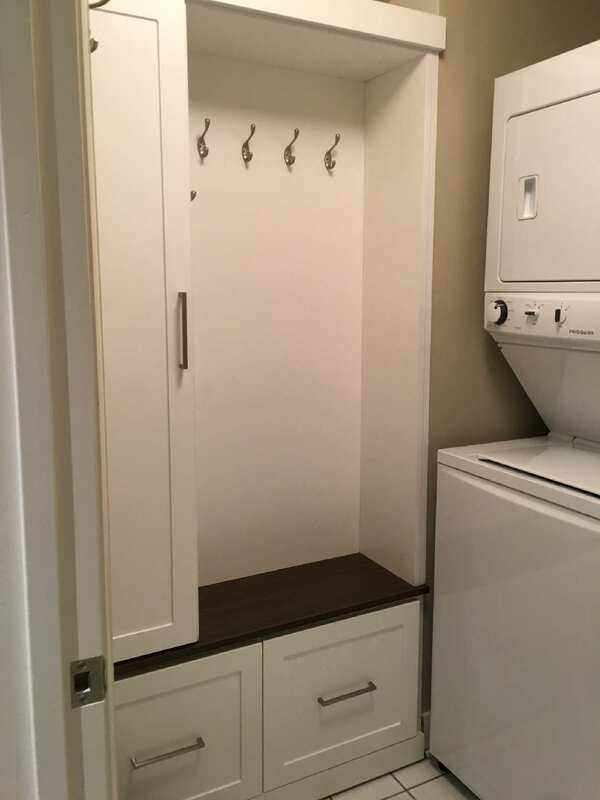 Mudroom with matching coat hook bar. Finished in Nora Creek Oak. Our client thinks everyone in the neighborhood needs one of these. 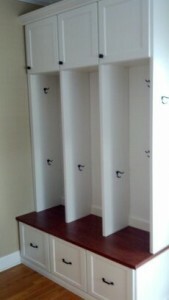 A mudroom locker system in white laminate with a wood grain bench top. Also, features shaker style cabinet fronts, drawers, matching crown and base mouldings. Glad you're happy Christina!